My favorite fruits are apricots. When my wife Janis came across this recipe she realized it was a natural. It is a little tedious the first time but the second round is much easier after learning the technique. I’m sure you will enjoy these delicious home-made confections. Finely dice apricots. Mix with coconut and milk. Shape into 1-inch balls; roll each in nuts. Let stand 2 hours, refrigerated, or until firm. Store in tight fitting container in the refrigerator. 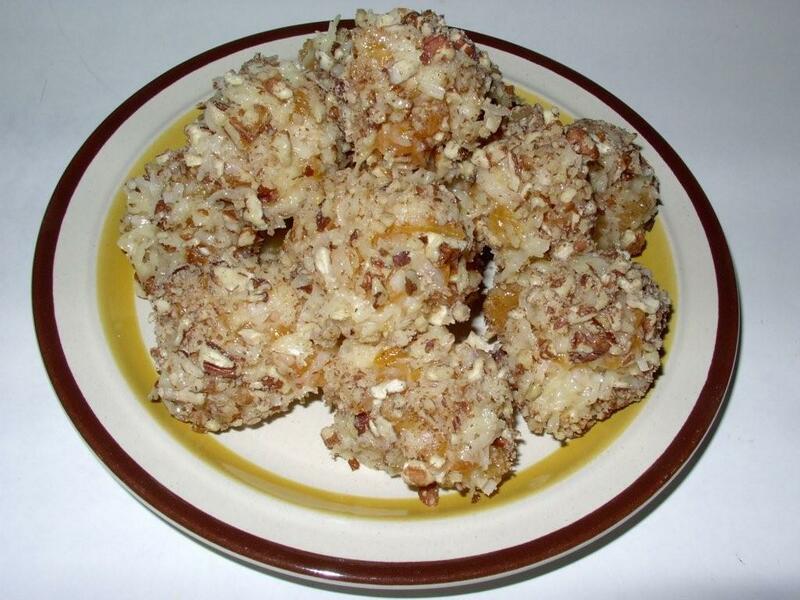 Apricot-Nut Balls:Mix 2/3 cup chopped nuts into mixture and roll balls in confevtioners' sugar. 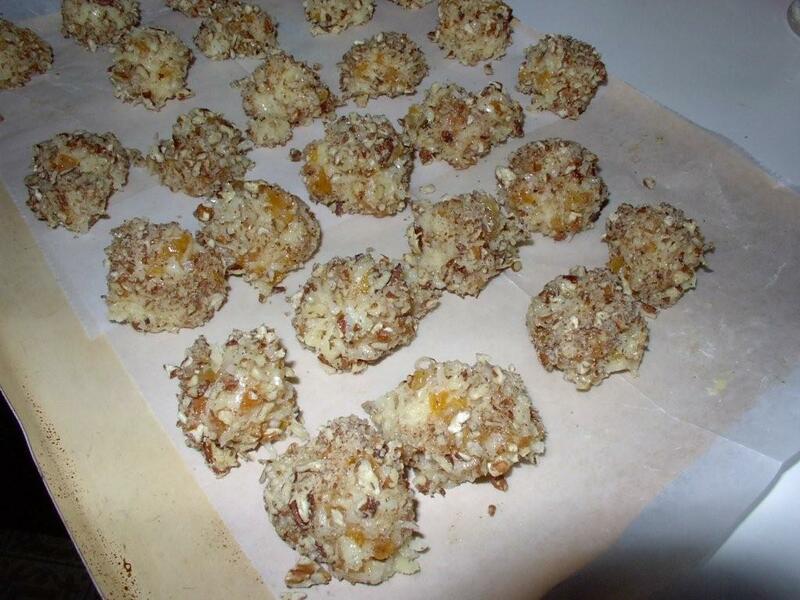 Lemon-Apricot Balls:Mix 2 tablespoons lemon juice in with the apricots. Original recipe from Betty Crocker's Cook Book, Golden Press, New York, 1976.